St. John's is a daughter church to St. Alban's, located towards the Marple end of the parish, on the junction between Marple road and Old Hall Drive. 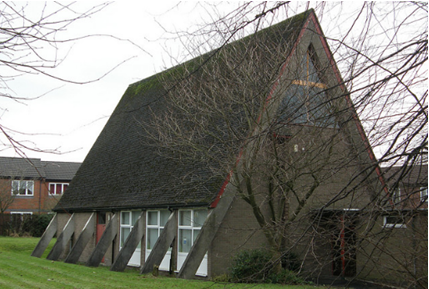 St. John's was consecrated in 1969, built in the modernist style, and since that time has been the home of a dedicated Christian community. St. John's is a small and friendly church that very much welcomes visitors to our church family.